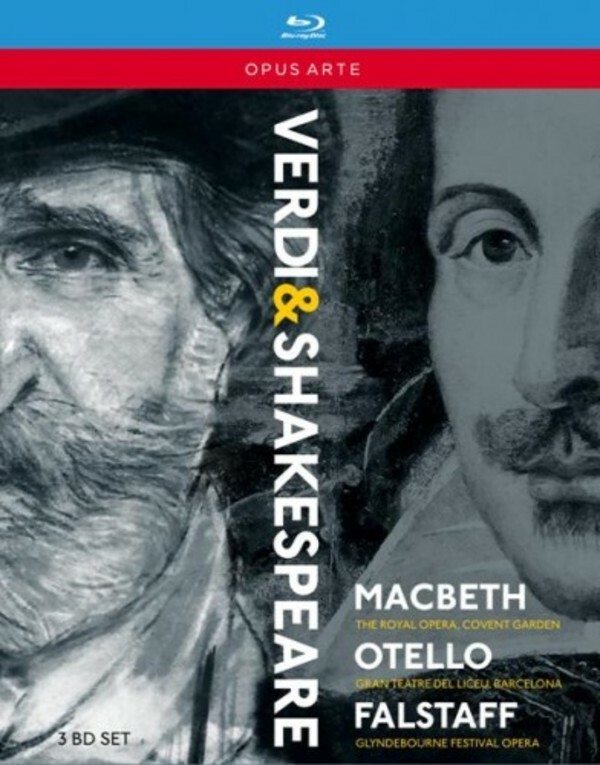 Shakespeare provided lifelong inspiration for the towering operatic genius that was Giuseppe Verdi, but just three of the Bard�s plays ever emerged fully-fledged from the composer�s pen. This trio of landmark productions, featuring a veritable constellation of singers, conductors and directors, are united here under the banner of Verdi�s Shakepeare Operas: Macbeth, which lifted the young composer out of his hard-working �galley years�, propelling him to international fame and universal acclaim, and Otello and Falstaff, his final two crowning operatic achievements. Simon Keenlyside and Liudmyla Monastyrska are imposing as the Thane and his Lady in Phyllida Lloyd�s sumptuous production of The Scottish Play for The Royal Opera, conducted by Sir Antonio Pappano, while Jos� Cura interprets the Moor in a profound, intense staging by Willy Decker at Barcelona�s Liceu. By the end of his dramatic opera career, Verdi claimed he had �earned at last the right to laugh a little�, and Richard Jones�s Glyndebourne Festival production of Falstaff radiates humour, tinged with bitterness and wisdom and brought to life by an international ensemble cast with Christopher Purves in the title role under the inspiring baton of Vladimir Jurowski.